Looking to get Nick Wooster's flawless, faultless confident signature style? Master his style with ease with our step by step how to guide so you can look just as slick. Style veteran and all-round cool cat, Nickelson ‘Nick’ Wooster is a force to be reckoned with. Having a career that spans over a very impressive three decades and boasts an insane number of collaborations with prestigious brands all over the world, Nick Wooster is effortlessly a style icon. Notoriously street-style snapped and regularly seen sporting edgy sunglasses, tailored clothing, some enviable pairs of shoes and his signature quiff haircut and perfectly-groomed beard, Nick Wooster oozes all things fashionable. According to Nick Wooster Wiki, Nick Wooster's age is 55. Born in America in the state of Kansas, Wooster started working with clothes at the tender age of 16 at a local clothing store called Joseph P. Roth and Sons. Having gone off to the University of Kansas a few years later to study Journalism and Advertising, it was only a matter of time after finishing university before his career took off. He has worked for big brands like Bergdorf Goodman, Calvin Klein, Ralph Lauren and Neiman Marcus where he was the Men’s Fashion Director up until 2011, and has since then collaborated with many brands on exclusive capsule collections. In November 2014, Nick Wooster clothing line joined forces with Birchbox Man to create a special grooming essentials box for the man on the go and in March 2015, renowned jeweller company Tiffany & Co. announced their partnership with Wooster as he debuted the Tiffany CT60 Calendar Watch. This is all but to name a few. Being a ‘true fashion authority, Nick's fashion continues to push boundaries through his work and distinctive personal style’ and this can never go unnoticed. Last year he made it to Vanity Fair’s 2015 Best Dressed List alongside the likes of fashion designers Zac Posen and Maxwell Osborne and Dao-Yi Chow, the masterminds behind the clothing line Public School NYC. Fashion forward but also digital forward, fashion maven Nick Wooster boasts of a massive social media following including a Twitter with nearly 47,000 followers and well over half-a-million followers on Instagram. As well as being featured in various blogs, magazines and campaigns, Wooster has graced the covers of a number of magazines around the world including French Fashion magazine L'Officiel Hommes, Singapore based magazine August Man and a double cover for GQ Taiwan. Amazing, right? Talking to a popular magazine, Nick Wooster shared his views on shorts and short suits and how much he loves them and given a choice he would sport the look all summer. I mean, when you’re Nick Wooster you can pull of anything, so why not? Summer’s coming up guys; the real question is will you be brave enough to pull off the short suit combo? Oh god, I am so pro-shorts. I love shorts. It's so funny, I got in trouble for wearing a short suit last summer, because it doesn't adhere to our company dress code, but if I could wear shorts as a suit all day long, I would do that all summer. A man that oozes effortless style come rain or sunshine, Nick Wooster also has some go to items for the colder months. Talking to the New York Times, he revealed that his ‘perennial fall favourites’ include a camel coat, a leather bomber, camouflage and tweed. A self-proclaimed risk-taker, ‘free agent’ and a man well versed on everything menswear related, grab your pen and papers and let’s get down to business. Let’s have a look at some of the statement pieces and looks that capture Nick Wooster clothing style profile. A man that is not afraid to wear bright colours and rightfully so, as he pulls them off so well. Sometimes seen pairing all black or darker colours with a bright coloured item or two. Wooster is no stranger to pinks, yellows, blues and oranges and he's not even afraid to combine these colours together. If you’re not quite ready to go all out with an outfit combo of bright colours, why not brighten up your outfit with just one piece of clothing like a complimentary coloured shirt? As well as wearing bright colours, Wooster is not afraid to rock different patterns and textures unapologetically. From florals to checker to patchwork, style aficionado Nick Wooster is not shy of experimenting as he can even be seen wearing a mix of textures and patterns on one item. For the daring, why not try combining textures? And for those of you feeling less experimental, why not try wearing a texture or pattern you have never worn before? Summer’s a good time to experiment especially with patterns as there are tons of patterns to get your hands on from animal print, to African print to floral. Another personal favourite of Nick Wooster’s are shorts. From patterned shorts to chinos and everything else in between, he is not afraid to ditch trousers for a shorter alternative, and one of his signature short combo looks include pairing shorts with a blazer. Don’t worry, you don’t have to wear short shorts if you don't want to, Nick Wooster’s short looks tend to be knee length anyway, so be brave and ditch the trousers for a cool pair of shorts. If you don’t want to wear shorts but you want to switch up your usual trouser look, then why not try roll ups and pin rolls. This is an ultra-simple way to revamp trousers that are already in your wardrobe without spending a penny. Literally taking the bottom of your trousers and rolling them in a specific way to achieve the look you want, and boom you’ve got a new look. One of my favourite things about roll ups and pin ups is how they can make your trousers look like a completely different pair of trousers, done well it’s pretty much like getting two trousers for the price of one. Another look that is very statement to Nick Wooster is the smart casual look of being tailored up top and being very care-free waist down. So up top why not try a shirt and blazer with a tie if you're feeling fancy and down below put on some chinos. Or some textured casual trousers and trainers? 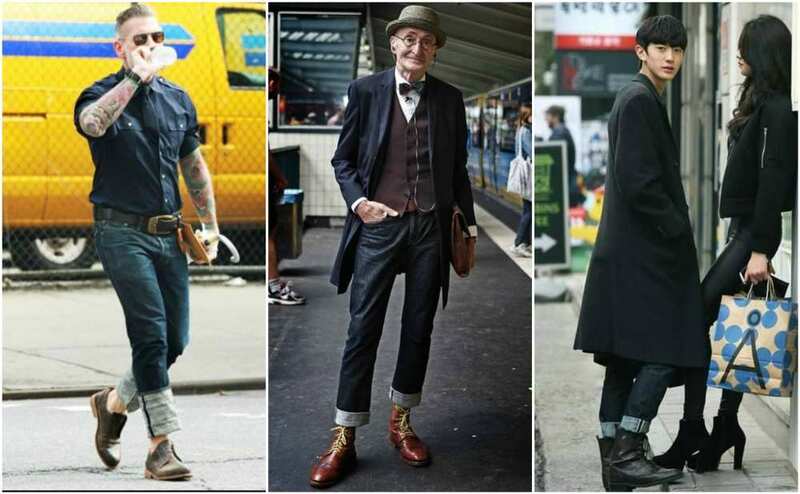 Or you could pair some ankle grazer trousers with some smart shoes, another Nick Wooster-esque type combo. Nick shows us how to style our varsity jacket, of course with shorts. But if you're not ready for this combination, a leather sleeved varsity jacket is still a great option for everyones's wardrobe. It can be teamed with most looks thanks to it's versatility. Pair yours with dark formal trousers and some stand out boots. Monk shoes and brogues are two statement types of shoes Nick Wooster can be found wearing. But they may not necessarily be everyone's cup of tea. However, these shoes are chic, timeless and can be worn dressed up or down for both casual and formal occasions and you know what they say, don't knock 'em till you try them. Take monk shoes for instance, they work really well with slim fit jeans or chinos if you want a more casual look. Alternatively they'll also add a touch of style to a smarter look. So you see that wedding/fair/event you’re going to this summer, why not pair some monk shoes with your outfit? These shoes are timeless and also able to be dressed up or down. They can go from suit to smart outfit right down to being paired with a simple white tee and jeans. Both the tan and black colours work great, but if you want something that can go with pretty much everything, the black ones would probably be your best bet. Don't worry yourself too much. Luckily for you if you're not that into monk shoes and brogues, Nick Wooster's versatile style means that he has been snapped by the pappz in more comfy-er shoes like slip on plimsolls and trainers. These are comfortable, cool and also very stylish. As well as being worn casually, combined with the right pieces slip on plimsolls can also be worn smart casually. Vans are a trusty brand for classic slip on plimsolls. Last but not the least, accessories. The one statement piece that I think is fair to say that Nick Wooster probably couldn't go without. Cue drumroll please, yup! A pair of edgy (most likely tinted dark) sunglasses that if you ask me are literally the icing on the cake. You know that effortless "I-look-cool-and-I-know-it-type" of swagger? Yes that. And if you want to tap into some of this coolness this summer why not grab yourself some edgy, cool shades? The thing I love about sunglasses is that there's one out there for everyone. For some people different styles suit their face, for others one particular style works best for them. Whatever style of sunglasses you decide to debut this summer, just own it. If you're look to get Nick Wooster's haircut then it's easier to accomplish than you might have first thought. Short on the sides, Nick's signature haircut is the pompadour perfectly finished. To achieve this haircut, it's best to go to the Barbers to make sure the fade is effective. However, styling it is easy with a bit of hairspray or gel. Opt for short suits, Nick's signature look. Mix and match your look with casual bottoms with a blazer and waistcoat, and add a pop of colour with eclectic shoes or stand out trousers. Shorts are a necessity. Go for formal knee length shorts like Nick Wooster. Patterns and textures can add a different dimension to your look. 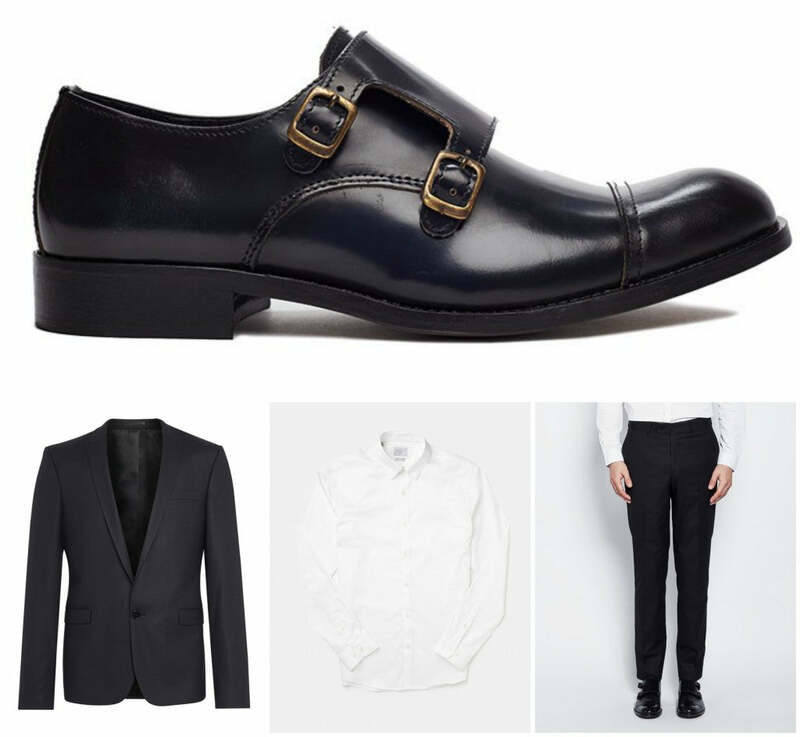 Team your look with formal shoes, preferably thick sole brogues, or mix things up with slip on trainers. Sunglasses will finish every look off perfectly. If there’s anything to take away from Nick Wooster and this style guide, it's the beauty in confidence and just owning your style. The difference between two people pulling off a very basic outfit and one standing out more than the other person, sometimes is simply just that…confidence. Another thing that I think is worth noting is being fearless when it comes to your style. Style is personal to you so don’t be afraid to experiment and try out new things, I mean what’s the worst that can happen? You make a fashion “fail” which is fine but it’s through these “fails” that you end up finding what you love and what really works for you. Besides, who defines these fails anyway? I’d like a word. If there’s one thing that I personally love about clothing, shoes etc. is that it’s just that. They are items that can be taken off, so if you don’t like the look of something you can take it off or switch it up and make it yours and expressive your personality and individual style. Last but not the least, don’t be afraid to express yourself and feel obliged to follow trends. Wear what you want, when you want and how you want.